The swimming and diving team are welcoming six talented newcomers to its squad this season, plunging the freshmen not only straight into life in Miami, but also straight into the pool. The team will kick off its season Friday at the University of Florida’s Pinch-A-Penny All-Florida Invitational. The weekend invitational will be held from Oct. 3 to Oct. 5, and many other top Florida teams, as well as the University of California, will be attending for various swimming competitions. 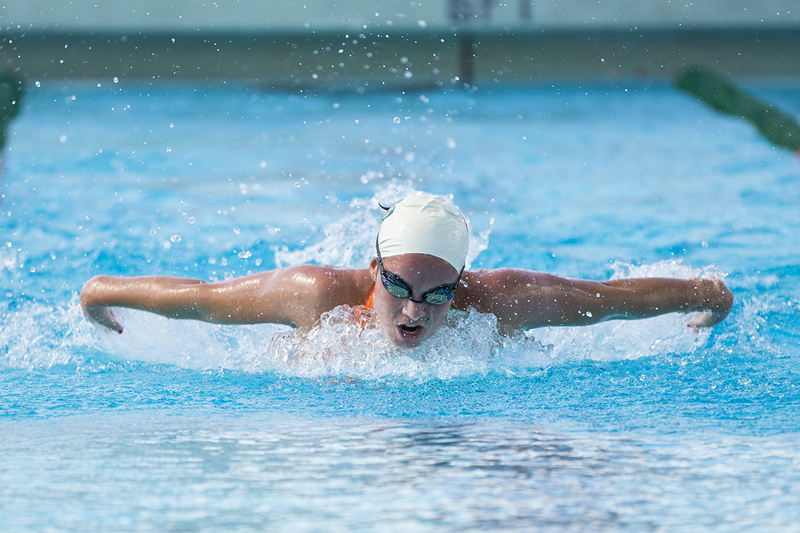 Miami will be going to the invitational with six freshmen swimmers and divers in tow: Briadam Herrera, Wally Layland, Jessica Hurley, Rebeka Repman, Julie Suarez and Tal Tahori. The six freshmen added to the team this year come from diverse backgrounds, but each share the common goal of helping the team succeed. Layland won first place in the three-meter event at the 2012 USA Diving Junior National Championships. Her father, Lenny Layland, is a University of Miami Sports Hall of Fame diver. Hurley is also a UM legacy, with both her parents having attended the school. The Florida native was a standout at Fort Meyers High School, specifically in the butterfly stroke. The team also broadened their horizons by bringing in Repman and Tahori, both international students. Repman, a Serbian recruit, specializes in freestyle. She once even trained in a canal when her pool was closed. Tahori adds maturity and discipline to the team from her experience in the Israeli military during the past two years. She also participated in Israel’s Maccabiah Games in 2009 and 2013 and will add depth to the team in the middle-distance freestyle group. The freshmen are joining a Miami team that already has considerable talent. Three Miami divers, Cheyenne Cousineau, Samuel Dorman and Zac Nees, were invited to the FINA (Federation Internationale de Natation) Diving World Cup to Synchro trials, where Dorman earned fourth place in the men’s synchronized three-meter. Senior Dorman and red-shirt senior Cousineau will both return for Miami’s 2014-2015 season. Miami will have many tough meets this year, notably the Georgia Institute of Technology invitational where the team earned sixth place last year.